OK folks. so I saw something cool on internet and I decided to write about it. The rumors were partially correct. The precision model with infinity display is 5510..
Dell’s most powerful workstation ever. 14.06" x 9.27" x 0.45" (rear 0.66"); Starting at 3.93 lbs. Dell’s lightest, thinnest and smallest workstation ever. Impressive performance at an affordable price. 14.17" x 6.89" x 17.12"
11.42" x 3.65" x 11.5"
I was looking to buy a new laptop few months back but I did not want my laptop to be outdated within months after buying it since windows 10 and skylake were around the corner. And then the cool Thunderbolt 3.0 was announced. so I decided to wait till I can buy a powerful laptop with windows 10, skylake and Thunderbolt 3.0. My old laptop started giving bluescreens and oh man it stops doing anything if i open up couple of projects simultaneously on visual studio. so I was eagerly following skylake and windows 10 related feeds. That's when I came across this cool looking windows 10 device with infinity display from Dell that was put up in display in computex Taipei event forum. 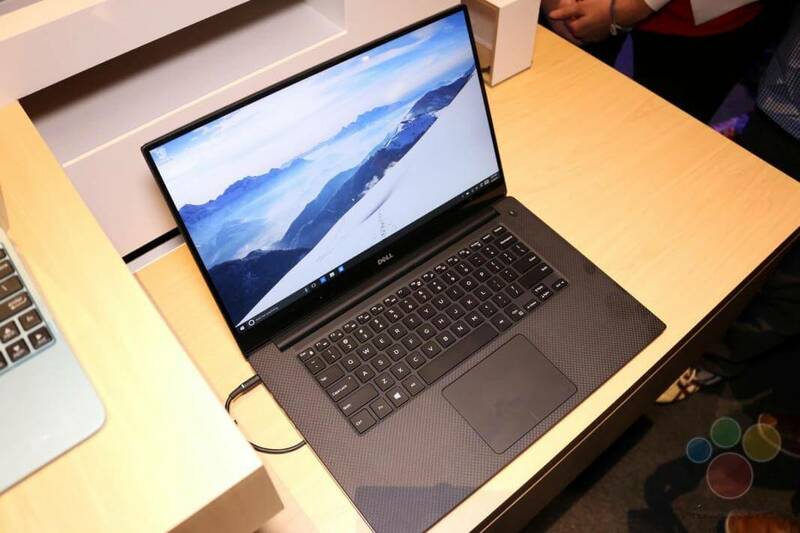 Since microsoft used this device to show off windows 10, there were rumors that this laptop from dell would be announced during windows 10 release but that did not happen. But when I was searching internet today for a dell laptop with skylake processor, I came across something interesting. 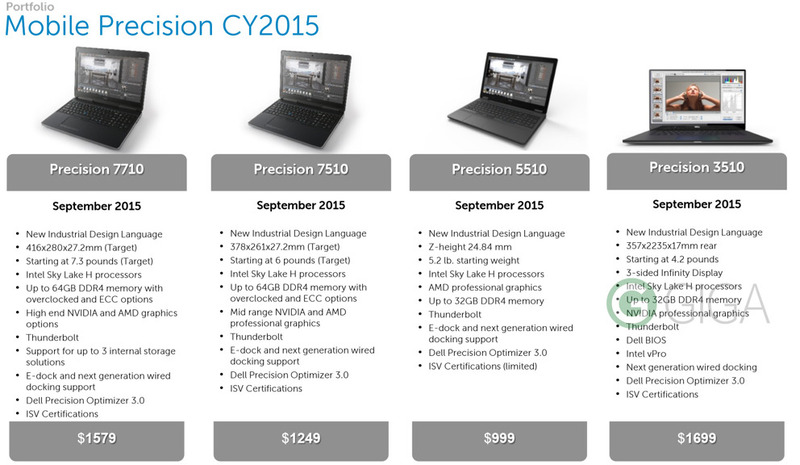 It looks like dell is working on precision line ups(mobile workstations) with skylake processors and windows 10. 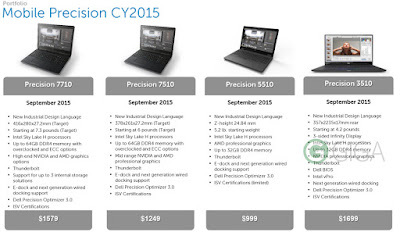 I came across a leaked image showing up the precision laptop lineups. Thunderbolt 3.0 and USB Type C - the reversible usb type c cable. thunderbolt port supports speeds upto 40Gbps. which means the thunderbolt port can drive two external 4K monitors @60HZ simultaneously. Even though the reporter says it is xps15, the label under the laptop clearly says it is dell precision 5510 @1:41 in the video. the video covers the other important specifications though. The existence of 3510 laptop has been confirmed by another search result that shows that this laptop has been imported to bangalore(India) for testing. this imported item information also reveals that this laptop comes with I7-6820H processor. I think we do not need to wait for longer for this laptop to be released. This should be out in a month or two. It may well be announced at the Dell world conference next month.I am very excited about this laptop and I think I am going to buy it as soon as it is out. What do you think folks? share if you have any information on this laptop. Leave your question in the comments section.